Creating a connection with the past, the new prototype celebrates the heritage and history of Orchard Supply Hardware (OSH). Founded in 1931 as a growers’ co-op, the company and its customers share the philosophy and purpose still at the heart of the company today. The brand respects the environment with its responsibility of stewardship in choosing not only products, but also materials in its own store that are eco-friendly and environmentally responsible. 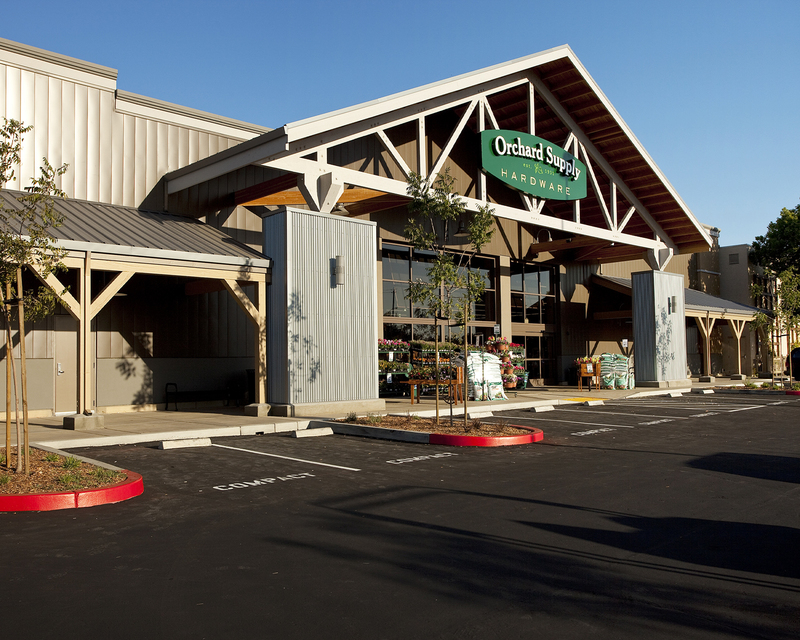 In its position as a “big, ‘small box’,” OSH fills a void between the ubiquitous national big box home improvement store and the “mom and pop” hardware store in offering comprehensive “better/best” assortments, appealing to its major shopping constituencies. Creating a series of neighborhoods, target consumers can find their “natural” home and destination, but are equally aware of the other products, capabilities and services available in the adjacent areas of the 48,000 square feet of the store. The store environment appeals to the “good eye” of an educated and intentional consumer base by stripping away the unnecessary. Through the celebration of the inherent interest of materials, products and applications, OSH provides a shopping environment that on one hand is Zen in its simplicity, but also full of surprises, twists and whimsy, promoting discovery and interest around every corner.